A Sunset Capitol Hill Engagement | Washington D.C.
Venue: Capitol Hill - Washington, D.C. 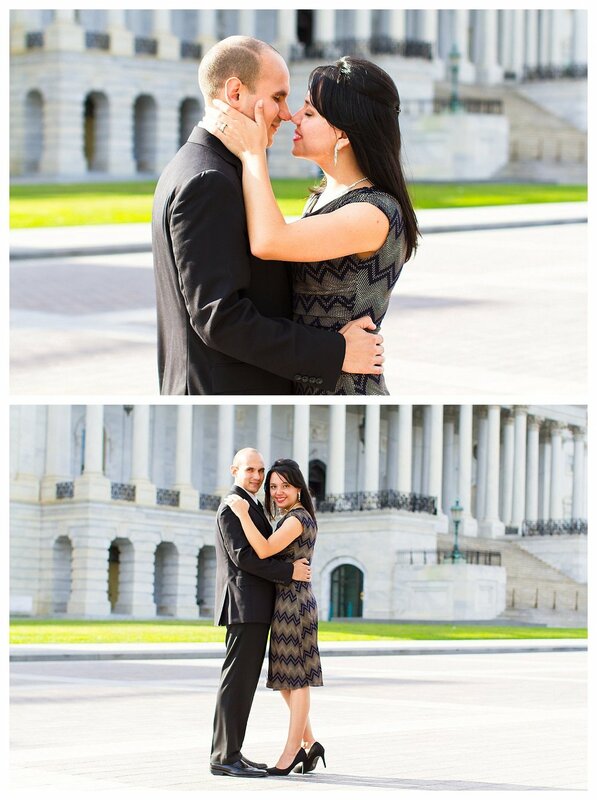 I met Diana & Danny on a beautiful afternoon at the U.S. Capitol Building in D.C. For the life of me I can’t believe that we literally had the whole place to ourselves. This never ever happens! The guards were feeling kind that day and let us come up on the steps, which was awesome! These two just radiate when they’re together and I’m so excited for them to be married! Days like this when there’s no tourists around and the light is just pure magic are by far the best! After our walk around the hill, we headed over to Georgetown for a quick outfit change and a walk along the canals. This was such a fun engagement session and I can’t wait for their big day!